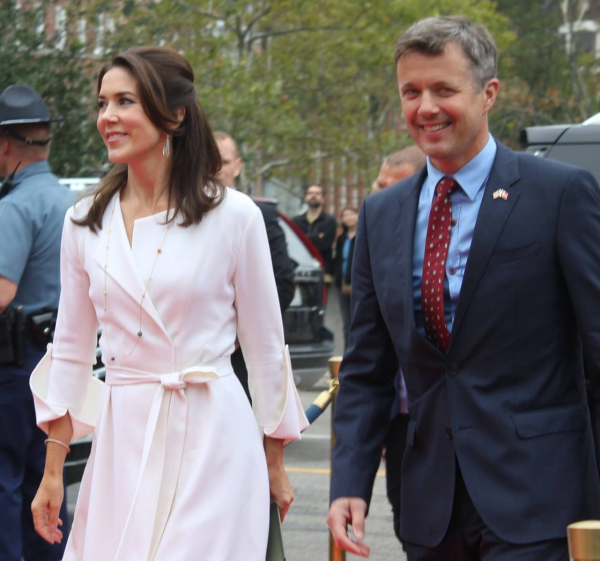 Crown Prince Frederik and Crown Princess Mary of Denmark were in the United States for a four-day visit last week, traveling to Washington, D.C. and Boston to promote trade relations between the two nations. 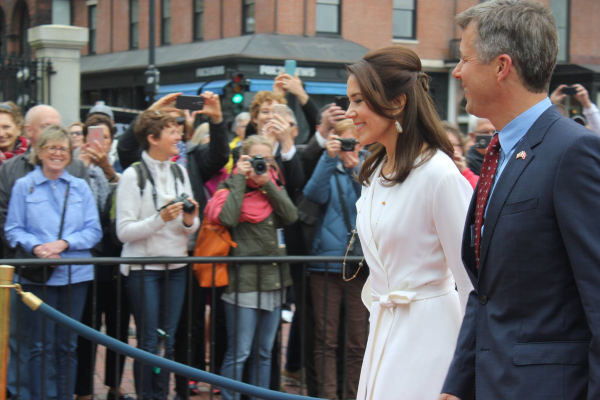 Sarah Williams, a friend of the blog and a big fan of the Scandinavian royals, was able to see the crown princely couple in person during their Boston visit, and she kindly offered to share a few photos with us! Here's another angle on the jewels -- you can see the slim bangle bracelet on Mary's right wrist a bit more clearly from this view. Frederik also added an accessory to his ensemble: the pin on the lapel of his jacket features the American and Danish flags. Huge thanks to Sarah for sharing her photographs with us! You can read all about her experience seeing Frederik and Mary in person at her blog, The Royals and I. Also, be sure to scroll through some of the other posts on her blog, which is devoted to Swedish royal fashion.